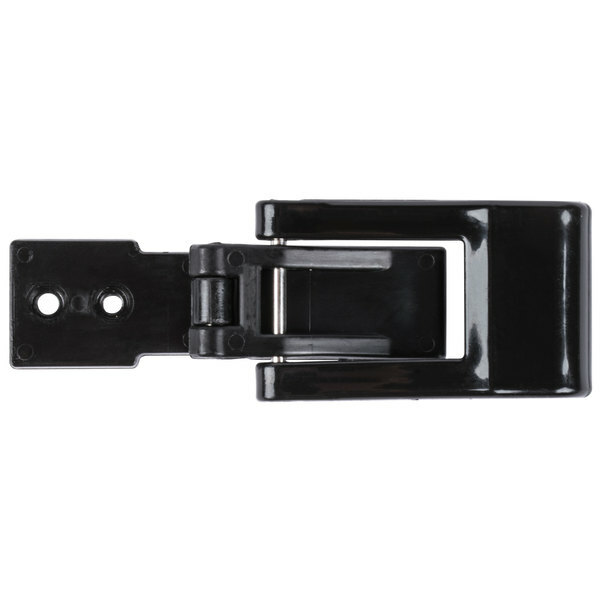 Replace your lost, broken, or worn out latch with this CaterGator front loading food pan carrier latch. 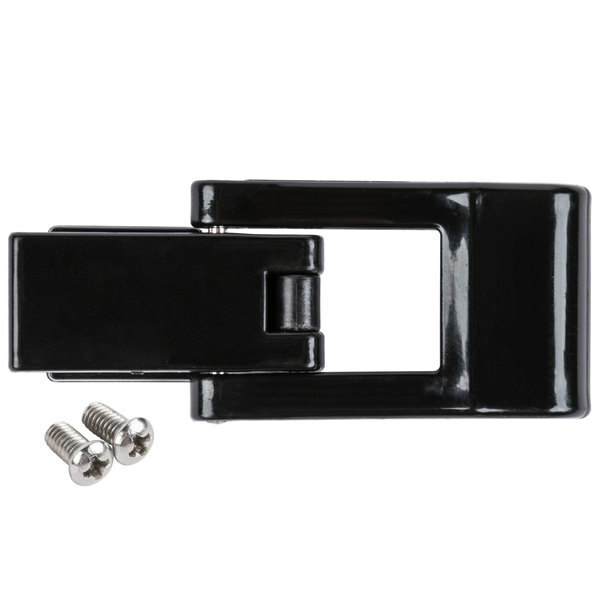 A direct replacement to the latch that came with your original carrier, this latch comes with 2 screws for simple installation. Once installed, you can effortlessly secure your carrier's door, helping to maintain the temperature inside for extended periods of time. It also makes it easy to open for quick access to your dishes. Delivering quality products at a fair price, CaterGator is the ideal serving solution for catering businesses, hotels, food trucks, and concession stands. 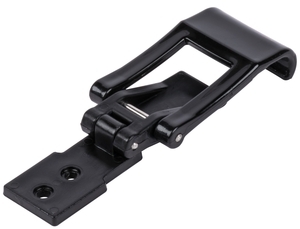 Plus, thanks to this latch's durable, plastic construction, it won't rust or dent like comparable metal latches. 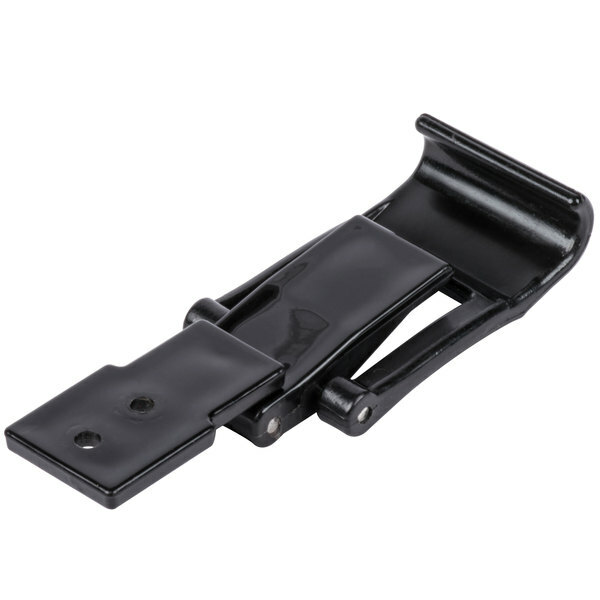 Prolong the life of your food pan carrier with this CaterGator latch. CaterGator food pan carriers and beverage dispensers provide your business with safe and reliable food and beverage transportation at a great value! Watch this video to learn about the many features and benefits CaterGator products offer to see how they can improve transportation for you! Improve transportation for your catering business with the help of CaterGator beverage dispensers and food pan carriers. 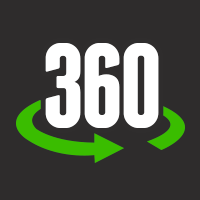 CaterGator delivers quality products at a price that won’t break your budget. Use these insulated items to transport food and drinks for your catered event, concession stand, or food truck! Both the food pan carriers and beverage dispensers from CaterGator have polyurethane foam insulation to help maintain proper temperatures. Heat or chill foods prior to placing into the food pan carrier or beverage dispenser and the product will safely stay within the appropriate temperature guidelines for up to 6-8 hours. To hold cold foods longer than 8 hours, be sure to use the CaterGator Ice board that is designed to easily slide inside the pan carrier and maintain cold temperatures. This ice board is constructed out of a strong, 1/2” thick PE material that is extremely durable. Just place it in the freezer for at least 8 hours and you’ll be able to extend the holding time in your CaterGator by another 4 hours! For more versatility, you can stack your Catergator with the same type of CaterGator products, or similar products from Cambro and Carlisle, to increase your storage capabilities. 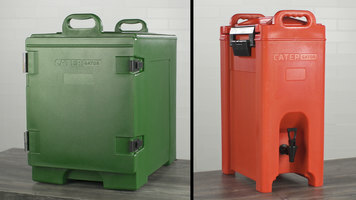 They also have an extra-strong polyethylene exterior that comes in 6 different colors and won’t scratch, rust, or dent. 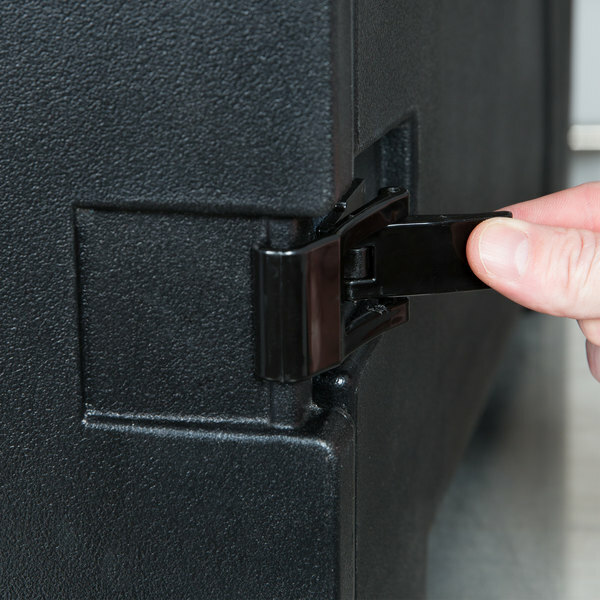 The durable plastic latches securely close the beverage dispenser lid and pan carrier door and are designed so that every part of your CaterGator will continue working like new day after day. The food pan carriers have a front-loading design to provide easy access to your food pans. The door, which attaches using steel reinforced hinges, simply swings open. 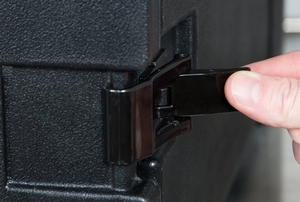 They also create a tight seal thanks to their plastic latches and the gaskets. 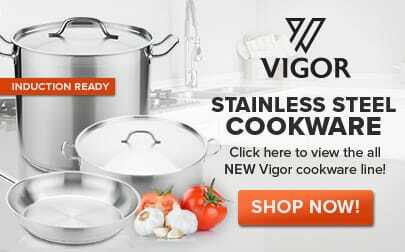 For your convenience, these carriers are capable of holding a variety of pan styles, such as stainless steel, plastic and disposable foil pans. They can also hold a combination of different sized food pans, including (5) 2 ½” deep pans, (3) 4” deep pans with a 6” deep pan, or even (2) 2 ½” deeps pans with (2) 4” deep pans. The possibilities are endless! Go straight from storage to use with the convenient CaterGator beverage dispensers. A dripless faucet on the front allows you to serve 5 gallons of hot or cold beverages. Plus, a pop-up vent on each beverage dispenser automatically releases pressure that is usually caused by steam. The convex lid on these dispensers helps esnure a tight fit and the gasket helps to keep drinks either hot or cold throughout your event. CatorGator beverage dispensers come with 8 labels and an additional 2 blank labels, so you can label your dispensers and help guests find the beverage they’re looking for. Use CaterGator in your business for safe and reliable food and drink transportation at a fair price. I received a CaterGator with a latch that was smashed in transit. Webstaurant sent me a replacement immediately. 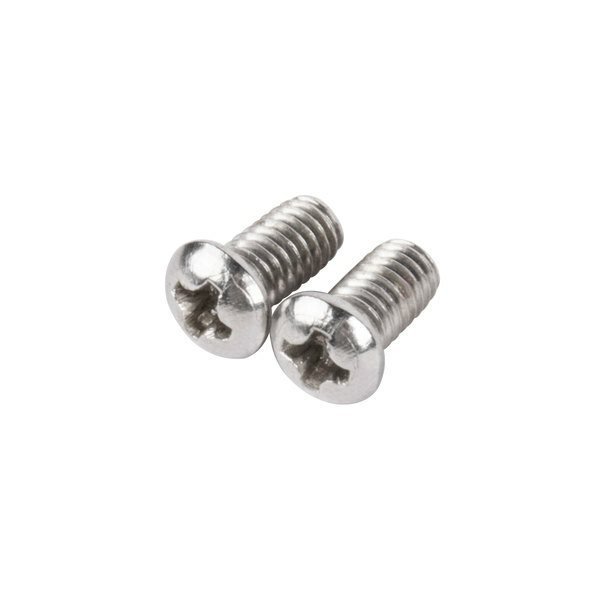 Installation was as simple as removing and reinstalling two screws and I have had no issues with these latches to date. One of the latches on my CaterGator was broken in transit. I was pleased that Webstaurantstore.com quickly replaced the broken latch and even happier to find that switching the latch was a very easy process - I only needed a screwdriver and about 5 minutes! This was a replacement part sent because the carrier we purchased that has this latch on it came damaged. Was received immediately and was free of charge. Worked great! we got this replacement hinge for our insulated food pan carrier, the brand is great value and great price, I highly recommend the food box ! 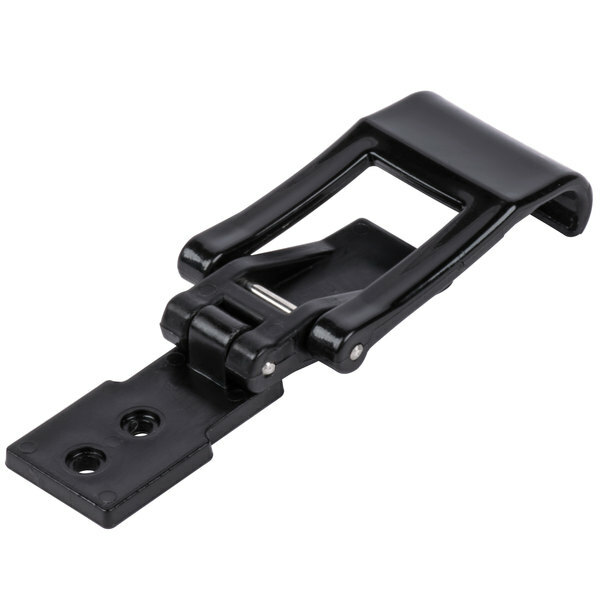 I bought this to replace my latch that was broken on my Cambro cooler. It was very easy to assemble. I should have bought another so that both latches look new.